The Caroline by Main Street Homes in Fishers Green, the newest section of Harpers Mill! This home offers one story living and plenty of open concept space! There are two bedrooms and a full bathroom off of the foyer. The airy kitchen with granite island overlooks a large great room and dining area. The great room has a vaulted ceiling and gas fireplace. There is plenty of storage in the mudroom and large pantry off of the garage. The master suite is privately located towards the back of the home and features an en suite bath with dual sinks, a large shower, and separate water closet. A large walk-in closet completes the master. The screened porch is perfect for enjoying beautiful Virginia weather. 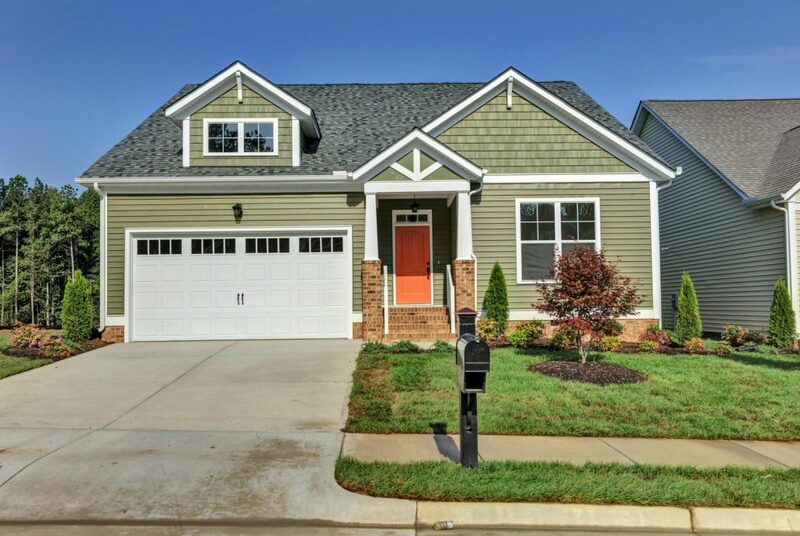 This ENERGY STAR certified home is move in ready.